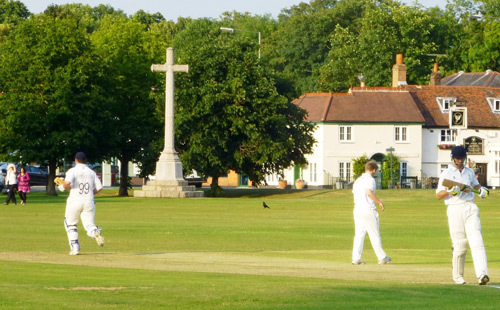 Although there is documentation noting that Cricket was played on Giggs Hill green from the late 1700s, it was not until 1833 that “Thames Ditton United Cricket Club” was formed. During the early years, the team would travel several times a season to play against local sides from Twickenham, Richmond, Merton and Kingston. TD were seen as one of biggest clubs in the country at this point, and a number of notable players from the era turned out for the club on a semi regular basis. Although there were not a huge amount of clubs in Surrey at this point, the club maintained a full fixture list, with the majority of games being played over two weekends. 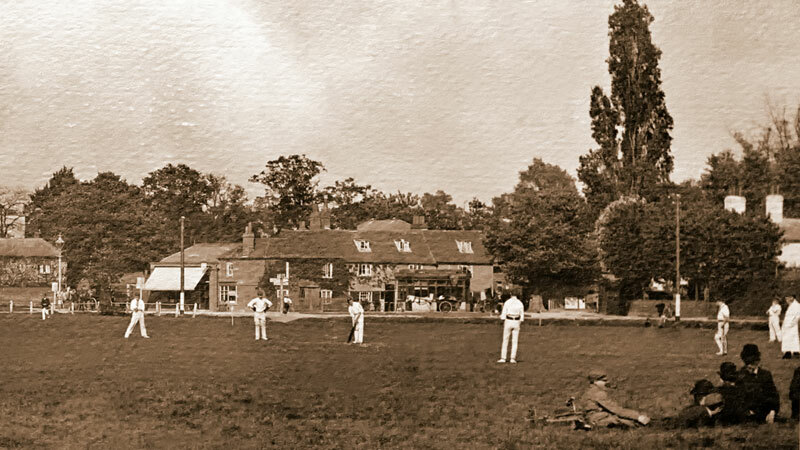 In 1879 the club made the decision to drop “United” from the club name and the Thames Ditton Cricket Club that we know and love today were finally established. The following years turned out to be a truly golden era for the club. The club won the majority of its games from 1880 until the outbreak of World War 1 in 1914. TD managed to produce three test players during this period, Tom Richardson, Maurice Reed and Leonard Braund. In 1893 WT Melbourne scored 271 v Comet CC, the club record high score that stands to this day. On that day we scored 493, also the record for the highest team score to date. Cricket came to a grinding halt in August 1914, with only 1 game played during the whole of the First World War. Many club members served their country during this period and upon the armistice the club sent out messages far and wide to attract new players to get the game up and running again. Whilst the inter war period was not as successful on the pitch as the pre war years had been, there was still some wonderful cricket played on the green. Mornington Wheeler was a fast bowler who picked up over 600 wickets in this era at a quite astonishing average of just 8! The fixture list started to take change in this period, and TD were regularly travelling to different parts of the county to fulfil fixtures, sometimes in front of crowds of up to 1000 people. During this period TDCC produced one of their finest Cricketers ever, Eddie Watts of the famous Thames Ditton Watts family. A fast bowling all rounder, Eddie would go on to play for Surrey 244 times, scoring 6158 runs and taking 729 wickets. It was testament to the strength of English cricket at the time that he never got an England cap. It was decided that upon outbreak of the Second World War that business would go about as usual at the club with full fixture lists for each season 1939-45. Surrey was a hotbed or military training grounds during this time and the majority of them would come and play at the green. In 1943 the club would see the emergence of one of its bona-fide legends as Aveling Pickard took the field for the first time. Pickard would play until 1959, amassing over 14,000 runs and taking 800 wickets for the club. He captained the first team for a number of years and also played a hand in setting up the TD youth production line. The post war years were very much up and down for the club. Pickard was joined but another club legend, Pat Sherwood. The two of them were clearly the outstanding players for the club during the 1950s. Sherwood scored over 12,000 runs at an average of 37 and also picked up over 500 wickets for the team. Towards the end of the 1950s, Leo Hanson joined from Lancashire second XI and on top of scoring 7,000 runs for the club he set a club record of 410 dismissals, another record that stands until this day! Unfortunately large parts of the clubs archive from the 1960s and early 1970s have been lost, but we do know that at times it was a struggle. Club stalwarts Brian Mitchell and Graham Ashton did a lot of the running of the club, whilst both being fine players on their own right. Graham played over 500 times for the club in a career spanning 60 years, whilst Brian was regarded as a tough captain and a very clever spin bowler. Brian passed away in 2017 and is missed dearly by everybody. In 1967 Bruce Pavey became the first man to score 200 for the club in 74 years, with 200* against Motley CC. In 1971 league Cricket was introduced to Surrey, and despite missing the initial boat, TD agreed to join in 1972. It didn’t take long for the club to find silverware, with the twos winning the title in 1977. With more organised competitive cricket this naturally raised the standard and moving in to the 1980s TDCC were beginning to flourish once again. Youngsters (all of whom still play today) Mike Robinson, Jon Fairhurst, Paul Campbell and Steve Wallace began to make their mark on the senior sides alongside wonderful players such as Simon Cave (8,000 runs) and Simon Luxton (400 wickets, including 115 in 1985). Dickie Millard would join the club in the late 80s and would become the first man in nearly 50 years to pass the 10,000 run mark in a career spanning 20+ seasons. 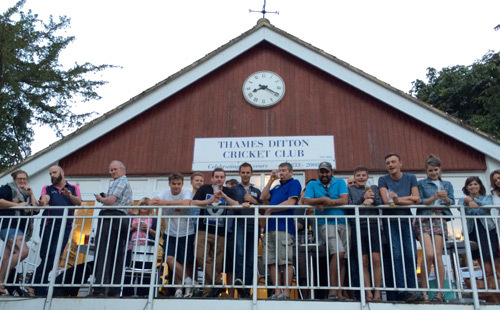 In the 1990s TDCC joined the newly formed Surrey County league and in 1995 the First XI has their first taste of success. 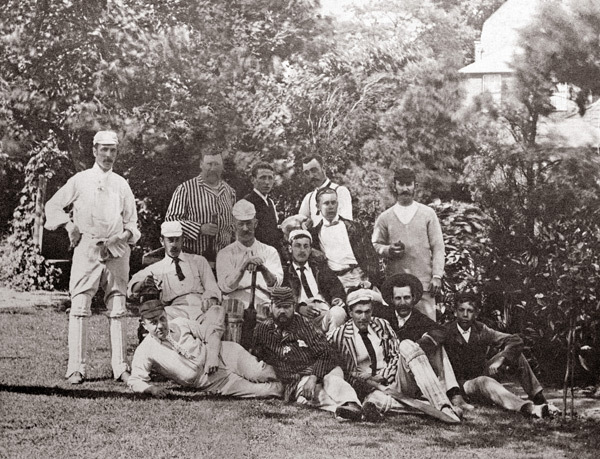 Playing in the Surrey Cup Final, Marlborough 1870 scored 155-9 (Lawson Mountstevens 4-40) and in reply we knocked it off with 2 wickets to spare (Mountstevens 36, Fairhurst 33). Lawson would become the first First XI skipper to raise silverware for the club. 1995 would also see the club have its first overseas pro, Bob English. Bob picked up 75 wickets that year including club record figures of 10-37. The following season the 1s would add a league title to their cup win. Under the stewardship of Matt Kerr, the team stormed to a thrilling title win, thus completing a glorious couple of seasons. Unfortunately due to inadequate facilities the club were unable to be promoted at this time, a problem that would not be rectified until 2004. More silver would follow in 1999. Lead by Matt Kerr, the side beat Croydon M.O. Batting first we scored 214-6 (Harish Joshi 105) and in reply Croydon came close with 191-7 (Ben Johns 4-43) but it was to be another famous TD day. It’s a shame to say that the club haven’t won the Surrey cup since. 1999 also saw the third XI win their league for the first time and in 2000 that would become back to back titles for the first time in the clubs history. Mike Phelps captained the side during these two historic years. In 2003 the ones would emulate the class of 96, by winning the Fullers County League. 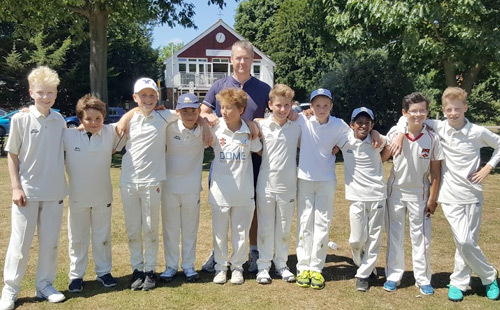 Under the brilliant captaincy of St John Farley the team finished top of the pile, and thanks to the building of the new club house over the 03/04 winter it meant the club would finally be able to ply its trade in the Surrey championship. Major contributions were made with the bat by Andy Hicks (464 runs), Graeme Sprowson (323) and Vish Solanki (243) whilst with the ball Vish Solanki (67 wickets), Phil Anderson (40) and Jonny Claydon (32) bowled the team to victory most weeks. By the end of 00s it was time for the Second XI to have their moment of history. 2007 saw them win the Fullers league (under the captaincy of Brian Chesterman) then in 2008 they were promoted from Championship Div 5 (captain Mike Dixon) and in 2009 Shayne Cossey saw them promoted to a club highest Surrey Championship Divison 3. The major contributors over these 3 seasons with the bat were Mike Dixon (1097 runs) Anthony Booth (869) Stuart Broom (763) and Devesh Patel (655) whilst with the ball the leading wicket takers were Shayne (80 wickets) Mike Dixon (71) and Andy Salter (38). It was a truly great time to be part of the second XI. The strength of the twos during this period also rubbed of on to the 3rd XI. Captained brilliantly by Geoff Dryden, the 3s raced to the league title and open top bus parades were not uncommon on TD high street during this remarkable period. The major players for the 3s in 2008 were Howard Frish (360 runs) Jilesh Patel (327) Dave Kenyon (300) And Rob Blaber (235) whilst with the ball the damage was done by Andy Jones (39 wickets), Andy Cassie (26) Rob Blaber (24) and Jim Isherwood (15). In 2009 the club pulled off a remarkable signing, that of West Indian legend Richie Richardson. It was both a PR dream and also a wonderful experience for everybody that played with him. Richie would play 25 games over 2 seasons with the club, scoring 754 runs and taking 34 wickets. It was a privilege for all of those involved. In 2010, despite having on paper arguably the strongest 1st XI in a decade at the club the team, captained by Oliver Turnbull, suffered a terrible season and ended up getting relegated back in to the Surrey County League. To make matters worse, the majority of this team then left ahead of the 2011 season. Our time in the Surrey Championship was over (for now). A fresh approach was needed in 2011, with Mike Dixon taking over as first team captain. 2011 was a struggle but the team stayed up and in 2012 it was time for some more silverware, this time in the shape of the Twenty20 cup. After winning all 3 of our group games (Kempton, Long Ditton and Hampton) off we went to finals day. We were drawn against Weybridge Vandals in the semi final and batting first posted 158-4, mainly thanks to a brutal 49 from 27 balls by Aidan Chapman. In reply Weybridge could only muster 126-8 with Shayne Cossey, Joe Jarvis and Chris Dixon taking 2 wickets a piece. That meant contesting the final with us would be Woodmanstere. Once again we batted first and scored 141-6, Mike Dixon scoring 34, but it felt a little under par. The bowlers had to step up and they did duly restricting Woodmansterne to 119-6, this time Shayne Cossey, Aidan Chapman and Chris Dixon all picking up 2 wickets. It was a wonderful tournament for the club, managing to go unbeaten, with major contributions coming from Mike Dixon (244 runs) Tom Pemberton (188) and Trent Carter (103 runs) and with the ball from Chris Dixon (10 wickets) Shayne Cossey (5 wickets) and Aidan Chapman (5 wickets). The 2012 Twenty20 was the last silverware of date for the club, and there is no doubt it has been a tough few years for the club. In June 2013 after 2 seasons and 4 games in charge the committee decided to replace Mike Dixon with Joe Jarvis to step in and lead the ones. Unfortunately this season ended with relegation and the ones dropping in to Surrey County division one, where they are currently still plying their trade. The twos have had an equally tough time, from hitting the dizzy heights of championship 3, they ended up in a free fall period and back in the Surrey County League. This free fall was halted in 2016, when Amrik Natt very nearly got the team promoted, missing out on the last day of the season. In 2017 the side went one better. Once again lead by Natt the team finished second, ensuring promotion back to the Surrey Championship. The major contributors were Mike Robinson (426 runs) Felix Raj (319 runs) Owen Neal 255 (runs) Pradeep Singh (197 runs) whilst with the ball there were huge contributions from Pradeep Singh (23 wickets) Richard Spiler (20) Dave Morgan (18) and Tamil Senthilkumar (17). This rounded off a positive year for the club and one that has certainly seen us turn the corner.